Although I’ve had quite a few milestones over the last year I’ve hit another quite unexpectedly today. It’s not a ‘scale’ or a ‘non scale’ victory but instead an experience that’s caused me to pause and reflect on what might come next. But I’ll rewind a little. When I started writing today’s post I was sitting in the reception of a school. I was quietly looking at my visitor’s pass and the really nice light brown stair carpet nearby. I’d had a sudden realisation that there wasn’t a single carpet in any of my schools as a child -but here there was one – and it looked pristine. However – instead of being here under the pretext of evaluating the rugs – I was waiting for a teacher to come and chaperone me to her classroom. She had kindly invited me to come and speak to her sixth form ‘A level’ group about the psychology of weight loss. Her class was apparently interested in discussing the supposition that diets don’t work and that any weight lost on such plans will inevitably be regained. Regular readers will know that this is a topic close to my heart and from time to time is something that I still worry about. Not only have I been in this ‘yo-yo’ing’ no-man’s land several times but I have the (stretched) tee-shirts and the photos to prove it. Despite the fact that standing in front of a class of people I didn’t know seemed a bit daunting (and might possibly dredge up some bad memories) it also sounded like something that would be pretty cool to do and push me out of my comfort zone – so I said yes! When I awoke was hungry. I don’t normally want breakfast – so I’m pretty certain that this was related to a minor case of stage fright. However – instead of going down the (seldom successful) denial route I instead prepared for the journey with some virtuous nibbles. 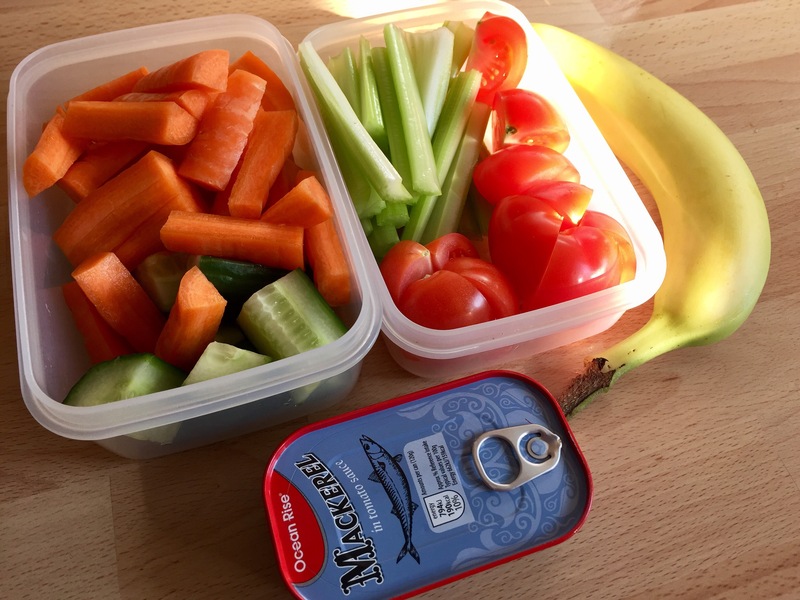 I’ve learned the hard way that it’s better to have a banana and some carrots nearby and to stuff your face with cucumber and tomatoes than to end up eating crap in a service station. When I arrived (very early) I parked up nearby and set off for a stroll around the area with an objective that I should fill my watch’s exercise ring before I started. Thankfully nearby there were a couple of little hills to walk briskly up and down for a while – and I rattled off my cardio for the day pretty quickly. Consequently when I finally presented myself at the school gate an hour later I felt pretty good – and when my host arrived shortly after she found me in reception all warm and cosy from my stroll quietly considering the soft furnishings. The class that she introduced me to were a friendly, engaging and bright bunch. Each one of them (some even attending in their free period!) came with insightful and thought provoking questions about how my upbringing, family life, the media, genetics and even mindfulness had played a part in my personal process. Oddly – as the Q&A went on I realised that before I arrived I had envisaged myself standing in front of these students and touting myself as an example of what NOT TO BE, and a cautionary tale of where one might go wrong in life. Then I was asked by one of the students whether I’d inspired change in anyone I knew because of what I’d accomplished. I couldn’t get this question out of my head as I drove home. I’ve been asked this before – but I’ve dodged the answer most of the time and felt embarrassed. However, the truth of it is I have seen such changes in others occasionally – and I like feeling like I can help other people. However I still believe that you can’t just rock up and make someone successful or change them for the better with a neatly written list of self help tips or a glossy book. You never know what someone will latch on to, what will be personal, or what will mean something to them. There’s no one answer for everyone. People don’t change their habits spontaneously in my experience unless deep down a part of them wants to. Because of this I’m not sure that you consciously ‘inspire’ anyone – it just happens when you least expect it. They are often just waiting (whether they know it or not) for a catalyst to provoke a change that they already know deep down they have to make. Some will find it – some won’t. But you can try to give a good example to other people and present the best possible version of yourself to everyone you meet. In my previous life I know I wasn’t very good at doing this. I suspect if many people I know were really honest with me they would tell me that I could very often be accused of not practicing what I preached. I knew deep down (particularly related to my job – but also at times in my personal life) that I didn’t always lead by example – and that used to irk me. I definitely hid from the reality of this for a long time – but now I think things may be different. Maybe for the first time today I began to realise that trying to be a good example to anyone that may be watching is something I really really strive to do. However it’s more fundamental than that. It’s actually become something that motivates me now and makes me genuinely happy. Without realising it I think I’ve felt like this for a while. Standing in front of this class of fresh faces today I felt I learned as much about myself as I imparted to them (maybe more) and I definitely left feeling both energised and alive. Thanks for visiting us today Dave. My students were so impressed with your warm & candid account of your slimming ‘journey’. As I mentioned to you I really think you should explore career opportunities which would utilise your excellent communication skills perhaps in the field of nutrition/obesity counselling. Thanks Jackie 😄👍🏽 my visit to your school left me with a lot to think about! I really appreciate your feedback! Hopefully I’ll see you (and your lovely colleagues) soon!